Aging, cancer and its treatment all contribute to increase the risk of deconditioning and sedentary behaviors. Mixed exercise is recognized to counteract the effects of aging and deconditioning as well as improving physical capacity during cancer treatment in adults. 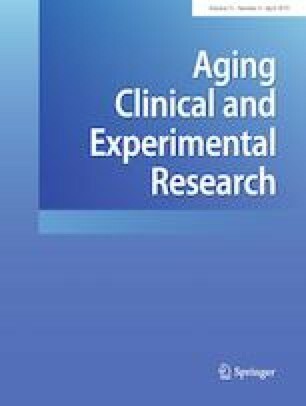 To determine the impact of a mixed exercise program (MXEP) to improve physical capacity and decrease sedentary behavior time (SBT) in older adults during cancer treatment. Fourteen participants (68.8 ± 3.4 years) completed 12 weeks of a mixed exercise program (MEXP) (n = 6) or stretching (n = 8) while they were under cancer treatment. Five tests of the Senior Fitness Test (Chair Stand, 8-Foot Up & Go, Arm Curl, Sit & Reach, 6 min Walk Test), two maximal strength tests (leg press and handgrip) and a Global Physical Capacity Score (GPCS) were used to assess physical capacity. For the amount of SBT (min/day), we used question 1 of the Physical Activity Scale for the Elderly. Both groups presented significant pre- vs post-intervention differences for the Chair Stand, Arm Curl, 6 min Walk Tests and also GPCS. Nevertheless, this difference was significantly greater in the MEXP group only for the Chair Stand Test (4.3 ± 2.2 vs 1.0 ± 1.3 reps; p = 0.01) and the GPCS (4.0 ± 0.6 vs 1.5 ± 2.3 points; p = 0.047). A tend to display a greater decrease in SBT (− 295 ± 241 min/week vs − 11 ± 290 min/week; p = 0.079) was observed in favor of MEXP. A 12-week mixed exercise program led to significant improvements in physical capacity and may reduce SBT. The authors gratefully thank all participants of the CANEX study. The study was funded by the Faculty of Medicine and Health Sciences, Université de Sherbrooke and Merck Sharp & Dohme. The authors announce that there was no conflict of interests in relation with this study. The study was approved by the CIUSSS Estrie—CHUS Ethics Committee. A written informed consent was obtained from all participants.